Moderately inverted heel alignment from Uncompensated Rearfoot Varus. 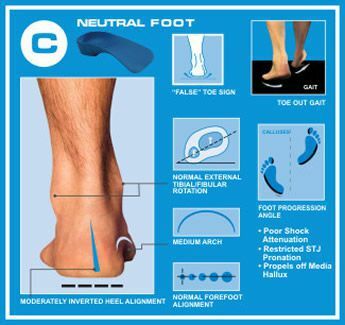 Normal or neutral forefoot alignment. Restricted subtalar joint pronation and associated poor shock attenuation. Propulsion from the medial hallux. Calluses may form to the medial hallux primarily. Approximate presentation in US population is 25%. This foot-type exists when an Uncompensated Rearfoot Varus is coupled with a relatively normal (neutral) forefoot alignment. A key distinguishing feature of this foot-type is an obvious toe-out gait pattern. CHILD PRESENTATION: Usually presents without pain or associated problems. The best way to determine the progression of the child's foot is to evaluate older siblings feet or ask Mom and Dad to remove their shoes and socks. WALKING PATTERN: Walks with a very toe-out pattern (external rotation at the hip), similar to a gunslinger (I think of one of my favorites: John Wayne). Can also be described as walking like a duck or a penquin. All graphics and information used by permission from NOLARO24 LLC and thequadrastepsystem.com. 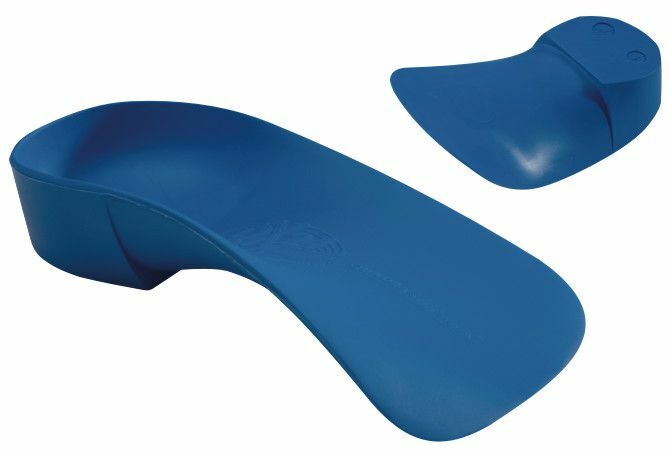 For additional information please visit their site at http://thequadrastepsystem.com/quadd.html.